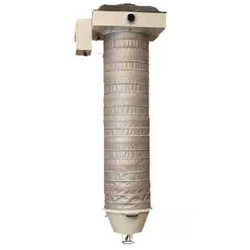 Prominent & Leading Wholesale Trader from Hyderabad, we offer truck loading bellows. Relying on our professional experts, we are offering Truck Loading Bellows to our clients. These Truck Loading Bellows are developed for guiding flow and containing dust particles. It has open storage area. These bellows are equipped with or without fan and are useful in prevention of environmental pollution. These Truck Loading Bellows are manufactured by usage of carbon steel and stainless steel. These Truck Loading Bellows are available in option such as low grade glass wool textile and high grade wool textile. Looking for Truck Loading Bellows ?